Pro Recce is your destination for locations! Be it shooting for films, advertisements, daily soaps or for rehearsals and workshops, Pro recce is your one stop solution to the locations that you need. It joins the dots between those who are looking for shooting locations and those who wish to rent out locations for shooting. Originating from the term ‘Reconnaissance’, Recce means surveying or researching and we are pro at it! ‘Necessity is the mother of invention’ and we at Pro Recce have identified a common man’s urge to reach out to filmmakers and a wide group of people who have locations and who need locations for all kinds of shooting, be it Films, Television Serials, Advertisements, Corporate shoots or any Photo shoots. We also provide options for locations or halls for all kinds of rehearsals. In a nutshell, Pro Recce is a platform that allows you to search locations or add locations from the comfortable sofa of your house. Also, we save a major chunk of your transportation money and time. See! We are giving you ways of reducing your budget. We are sure that all the production managers will love us for coming up with this idea! And guess what, this is a right platform for you to earn passive income out of your idle location. Hence it’s a win-win situation to both who have locations and who are searching for locations. We take pride in being trusted by the people and transparency remains one of our greatest asset. 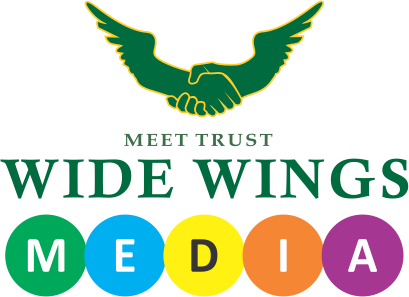 Wide Wings Media, is a passionate group of people combining creativity using skills to stimulate you and our experience to guide you effectively from concept to delivery, thus recreating fresh ideas.Providing Media solutions and Marketing plans through Business Research, Digital Campaigns, Theme based Audio Visuals, Creative Events and Productions with a view of entertaining the masses and classes is our main focus. In the form of ‘Pro Recce’ we are introducing a first of its kind concept through which we can provide you with a plethora of ‘Location hunting’ options with the help of our associations. The main aim is to find solutions to your difficulties in finding out apt and accurate locations for the purpose of shoot for Films, Shows, Ads, Daily soaps, Theatre or Concert rehearsals, etc. as well help people in making their locations available with utmost ease. Large database of locations available for shooting and rehearsals. Search for as many locations as you want to. It is absolutely free. List your location and earn passive income by renting your location. Save your time and budget on location hunting.